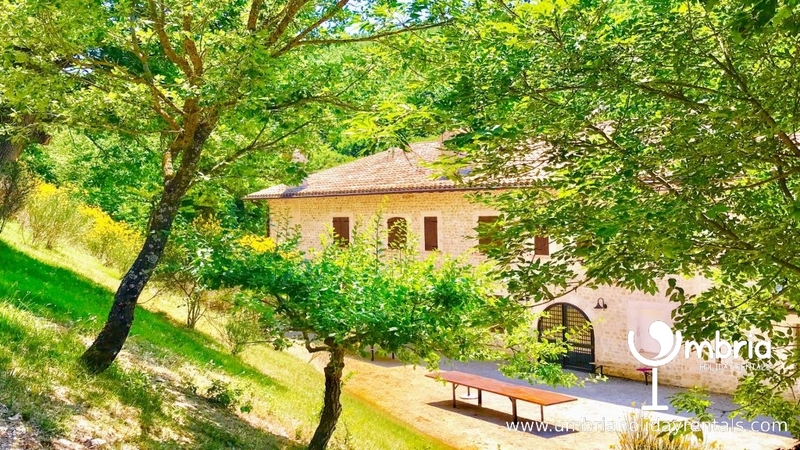 enormous villa, perfect for family/friend reunions ! If you wish to book the whole villa for your group of about 25 persons, note that there is a large indoor space to cater for groups of up to 50 in APT B (ground floor). 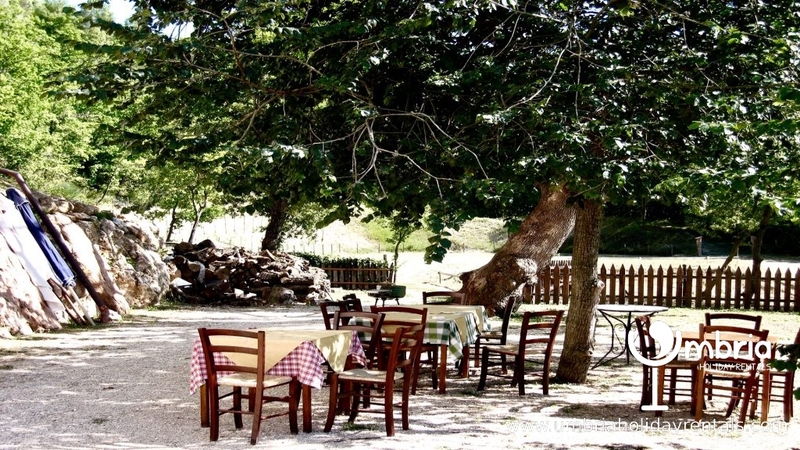 However, much of your dining will be under the trees and the stars, surveying the spectacular scenery all the way to Assisi. 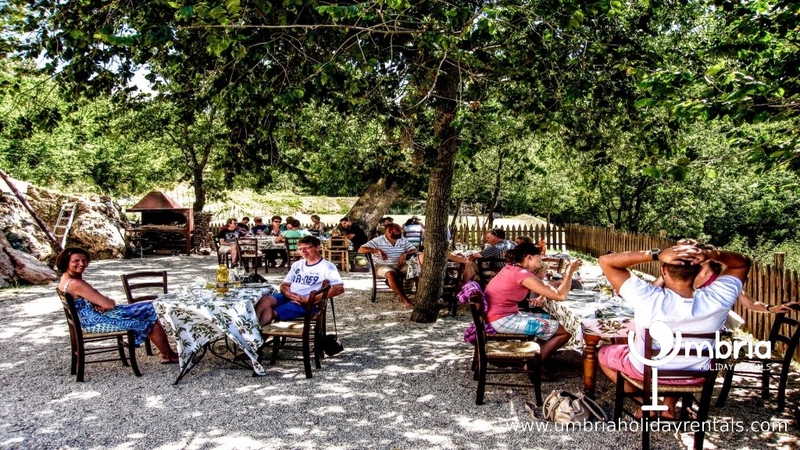 NOTE THAT ALL PHOTOS SHOWING LARGE GROUPS OF DINERS IS ONLY WHEN THE VILLA IS BOOKED AS A WHOLE. OTHERWISE, EACH APT HAS ITS OWN EXCLUSIVE OUTSIDE AREA. 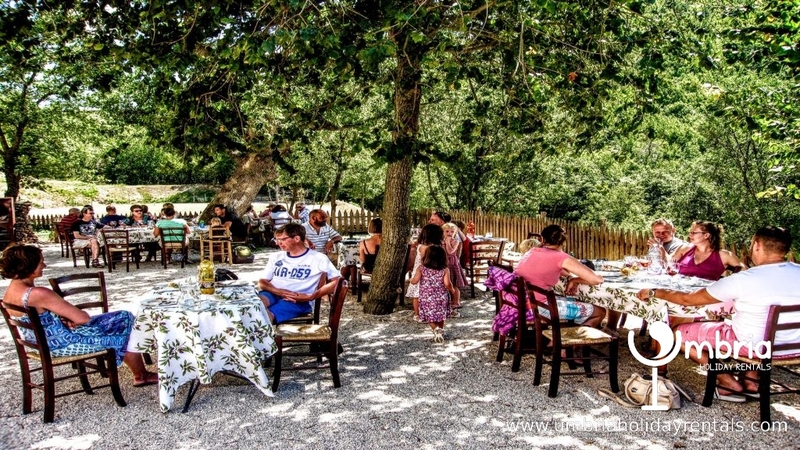 THERE IS NO RESTAURANT AT VILLA MARIANNA – A TRANQUIL ENVIRONMENT. 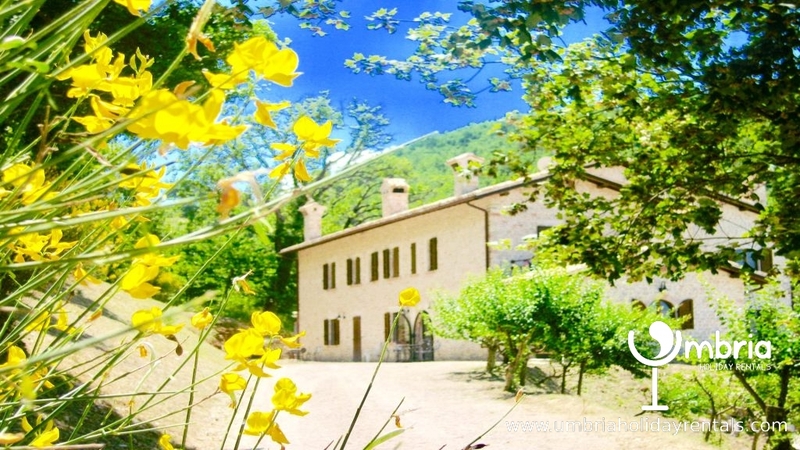 HOWEVER FOR THOSE WISHING TO BOOK THE VILLA AS A WHOLE IE ALL 5 APTS, A CHEF CAN BE PROVIDED. HE CAN CATER FOR ANY EVENT FROM PIZZA PARTIES TO WEDDING CELEBRATIONS. HE WILL COME AND SEE YOU TO ASSESS YOUR REQUIREMENTS AND QUOTE YOU ACCORDINGLY. NO OBLIGATION WHATSOEVER TO PROCEED WITH BOOKING HIM. HOWEVER, NEVER HAS ANYONE TO DATE REJECTED ONE OF HIS QUOTES !!!! HE GOES ALL OUT TO PROVIDE THE BEST SERVICE POSSIBLE AND YOU ALWAYS GET FAR MORE THAN YOU’D PLANNED WITHIN THE QUOTE !! Set in 100s of acres of private land, it is all yours while you are at Villa Marianna. You can walk for hours in any direction. Indeed, St Francis and his desciples used to pass Villa Marianna on their journeys between Assisi and Rieti. There are a few farmsteads on the land so you will see a handful of locals tending the land, on which our cows, sheep, horses, geese, ducks and peacocks graze. Free high speed WiFi, up to 3 triple bedrooms, up to 2 bathrooms, a fully fitted kitchen + a dish-washer IN EVERY APARTMENT, makes all 5 of these apartments unbeatable ! 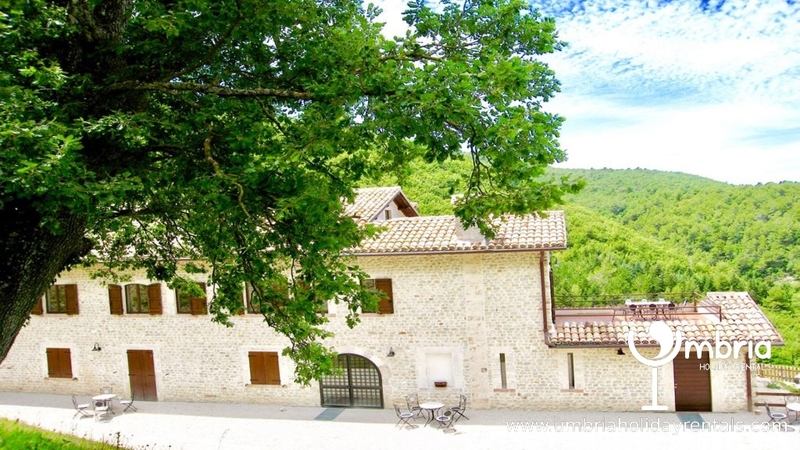 With large pool – 120 sq mts, this is a very large fabulous 16C stone manor house (car necessary) with 4 apartments. 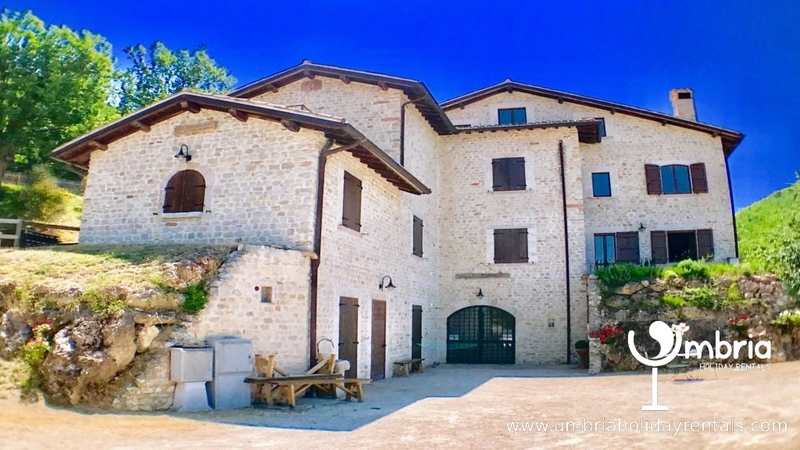 7 miles from central Spoleto, above Bazzano, on the side of Spoleto towards Assisi – excellent location for sight-seeing. 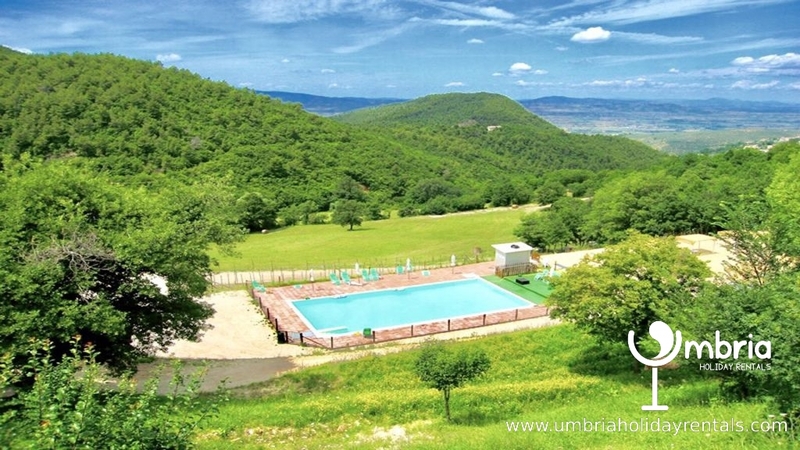 Close to Assisi, Perugia, Orvieto + Rome. And, Spoleto, teaming with shops, bars and restaurants, is just 7 miles. 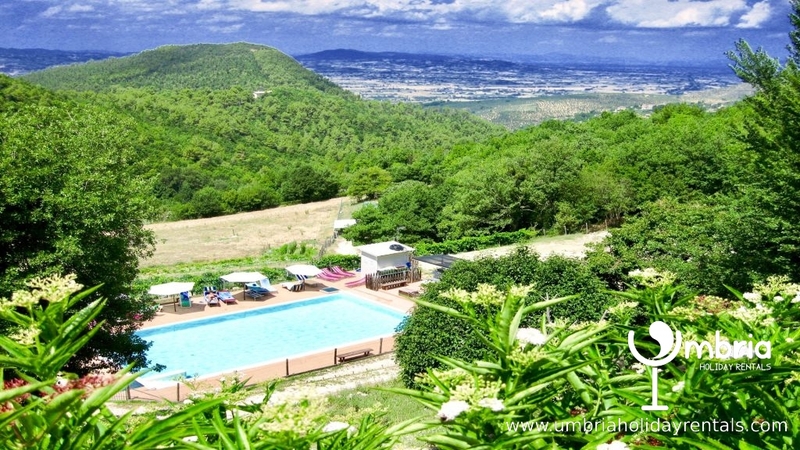 From the villa, amazing panorama towards Assisi that stretches over valleys, mediaeval hill-top towns, olive groves and vineyards, all the way to a seeming infinity ! Large private patio areas and balconies outside the apartments, with plenty of tables and parasols etc for al fresco eating. Picnic anywhere you choose in the extensive grounds. Lounge around the pool, next to which is a toilet. Chill out exactly where the mood takes you. No end of space in the acres surrounding you for those who wish to “get away” and be reclusive. 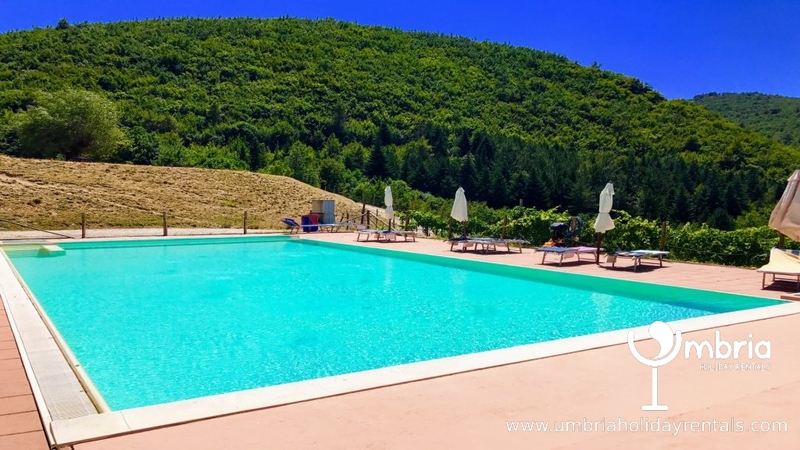 While the private pool is available to all our guests, to date, the pool is often quiet, since most of our guests in central Spoleto do not have cars and/or are not interested in a pool property. Indeed, the pool is often empty for large chunks of the day. Private car park for residents.Our peacocks, hens, goats and horses in next field. HORSES FOR HIRE ! High speed internet available, free of charge, via WIFI. Ideal for lovers and families alike…. 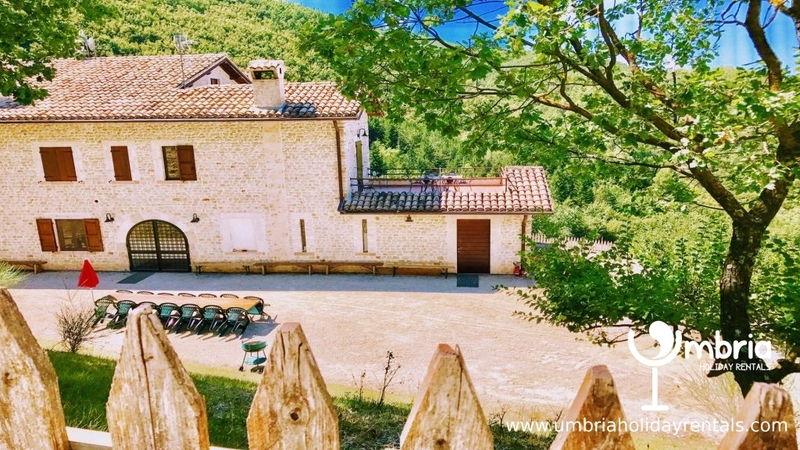 A romantic, mountain retreat, above Bazzano Superior, with sensational views, where there is so much space that guests can do what they like, without feeling inhibited. Quiet nooks and crannies for lovers, wide open sandy areas for children, spacious patio areas for dining alfresco, endless pilgrim trails for walkers and cyclists, heavenly views, bird-song, a huge pool for family gatherings, local restaurants with proximity to the Umbrian ‘hot-spots’ ….Assisi, Perugia, Orvieto, Spello, Casteluccio, Norcia, Trevi, Montefalco, and, Rome, a mere 1.15 mins, by train, or, Spoleto, just 20 mins, by car, via the quiet Giro D’Italia route, a spectacularly beautiful country road. 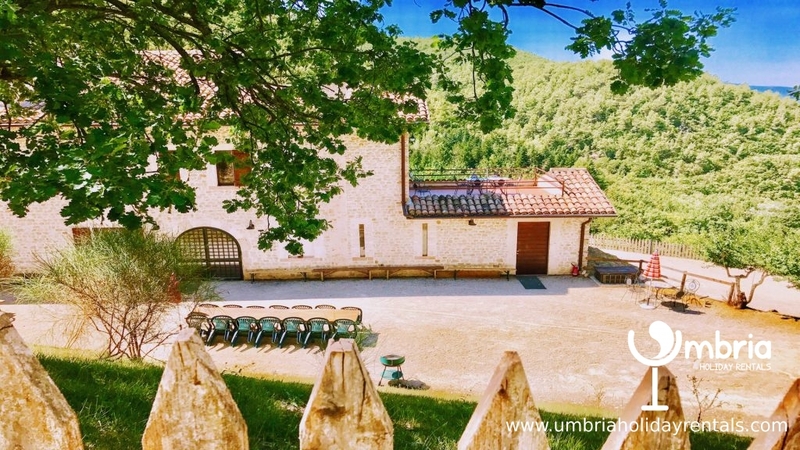 And, while exploring Umbria is a must for most, if you tear yourselves away from this mind-blowingly beautiful and historic villa in the hills above Bazzano, the buzzy, fairy-tale city of Spoleto will satiate a yearning for the bright lights with shops, bars, restaurants and churches, amidst its arched, cobbled streets.Villa Marianna, a fabulous 16C manor house with WiFi in every apt, its rooms large, light and airy. In an intensely romantic setting, the 5 self-catering apartments are well-spaced from each other : A + C occupy the entire 1st floor, B, D + E occupy the entire ground floor and each apartment separated by spacious hall-ways. HOWEVER, THESE 5 APTS CAN SLEEP UP TO 28 PERSONS (IF THERE IS A LARGE PARTY OF CHILDREN). PLEASE ASK FOR QUOTES AND STATE THE NUMBER OF ADULTS AND CHILDREN (THEIR AGES) IN THE PARTY. ALSO NOTE THAT A SIMULTANEOUS BOOKING OF MORE THAN ONE APT WILL ALWAYS ATTRACT A DISCOUNTED RATE ! 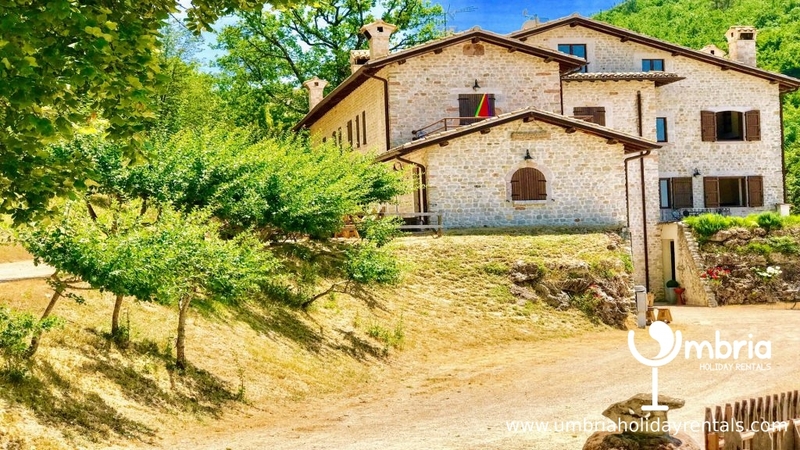 Hewn from the rocks, this majestic manor house looks over the pool and the magnificent, panoramic landscape, embracing monasteries, olive groves, woods, vineyards, fields of poppies, cherry orchards and hill-top villages, furling and unfolding through valleys and across a grand plain towards Assisi. 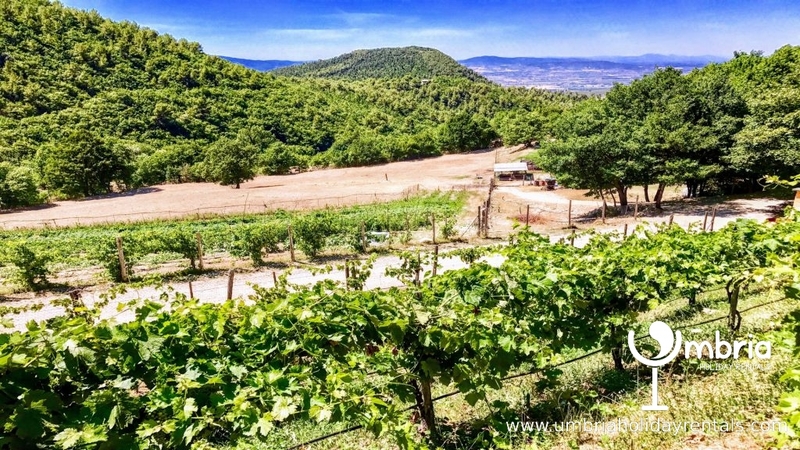 This is a great walking area and there are many marked paths from Villa Marianna to a diversity of places, several following in the footsteps of St Francis ! 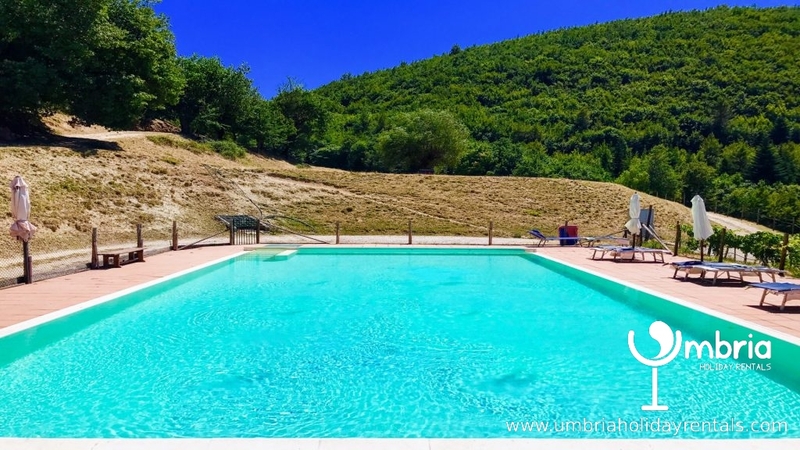 If you are seeking an intimate experience with Nature, fun and frolics by the pool, and, easy access to all the “hot spots” of Umbria, then, Villa Marianna is for you. 5 huge apartments, all with dish-washers.. APT A (2 triple bedrooms + 1 bed-sitting room with 2 single beds that can be joined) can sleep 8 persons, IF each of the 2 triple bedrooms sleeps 3 persons. APT B (2 triple bedrooms) can sleep 6 persons, IF the enormous sitting room area sleeps 2 persons in the alcove. APT C (3 triple bedrooms) can sleep 8 persons, IF 2 of the 3 triple bedrooms sleeps 3 persons. APT D (2 triple bedrooms) can sleep 6 persons, IF each of the 2 triple bedrooms sleeps 3 persons. APT A : (120 sq mts) has 2 huge triple bedrooms/2 shower rooms/2 WCs/1 huge bed/sitting room/1 huge kitchen-diner with fitted kitchen – (sitting room contains 2 single beds that can be joined, by request, unobtrusively placed). 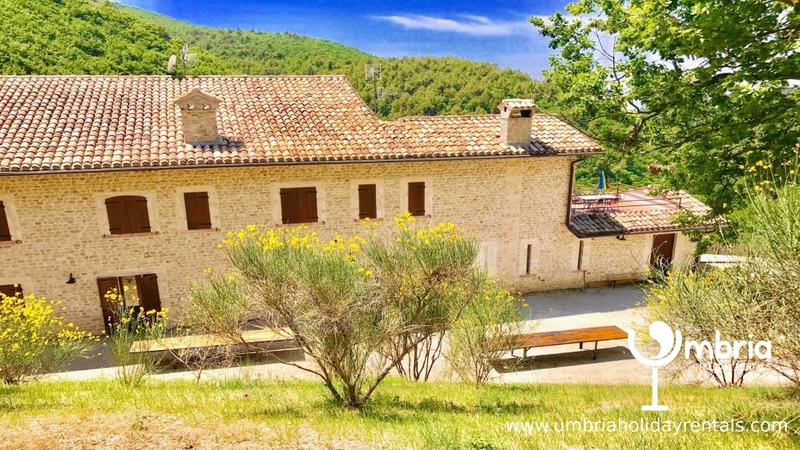 Opens onto superb terrace/fantastic panoramic views of mountains and valleys from all windows + terrace.2 Bathrooms/2 WCs…On the 1st floor, APT A is the largest apartment with 1 huge, bed/sitting room plus 1 huge kitchen-diner with a fully fitted kitchen along one wall. 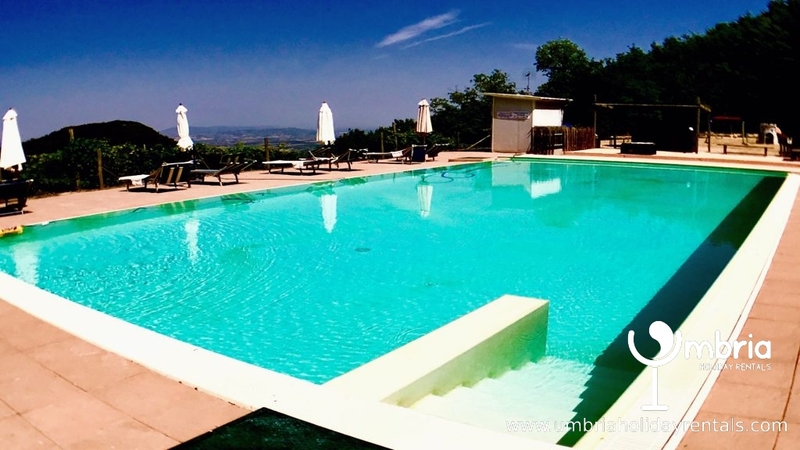 And, its terrace is to die for, so stunning are the panoramic views that overlook the pool, the vineyards, the olive groves and give way to a vast landscape with valleys, mountains and woods that undulate, cascade and writhe towards Assisi, embracing every famous hill-top city you can think of…. Spoleto, Spello, Trevi, Orvieto, Perugia and Montefalco, in its sweep.Simply, but, elegantly, furnished, this apartment is perfect for families. Booked together with APT C, the whole of the top floor is, in effect, privatised, and the 2 apartments can be seamlessly joined to become 1 extremely large apartment that can sleep up to 12 persons comfortably. Extremely spacious, the 2nd sitting room is a bed-sitting room and, therefore, can be used as a 3rd bedroom, to sleep 2 persons in single beds, which can be joined, by request. In addition, each of the double bedrooms sleeps 3. We can arrange the sleeping as you wish. Especially suitable for lots of children. There are some steps leading to the apartment but none inside the apartment. However, there are steps from the back of the house, leading to the large communal terraced area, overlooking the pool. But, you can avoid these steps and walk round the house directly to the communal areas and/or pool. APT B (100 sq mts) has 1 huge sitting/dining room (with fully fitted kitchen), which can take 2 single beds, unobtrusively placed in an alcove, 2 triple bedrooms (each with double bed and single bed) + 2 shower rooms, 1 with full-sized tub. 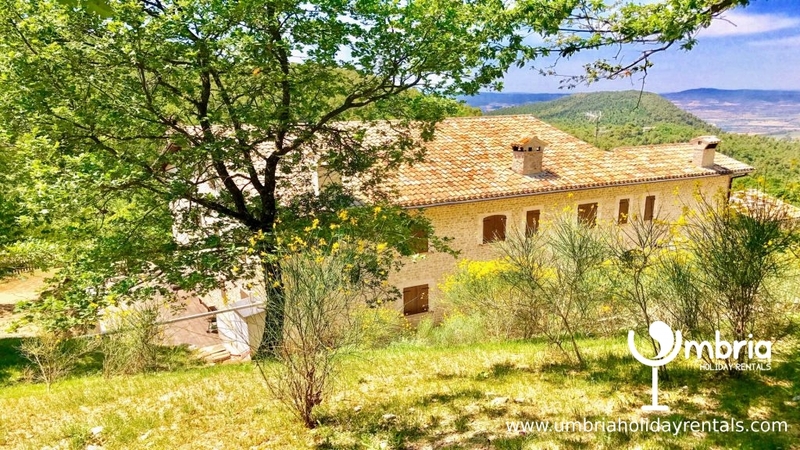 Stunning panoramic views of mountains and valleys from all windows. 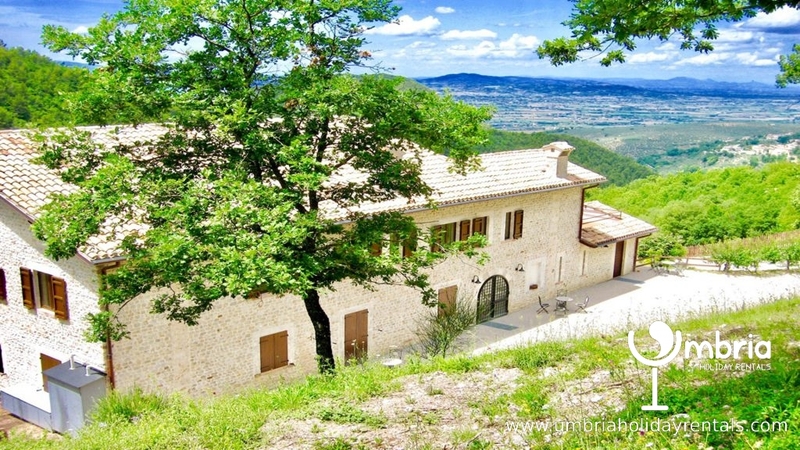 Balcony, seats 4, opposite kitchen window/stunning views towards Assisi. On the ground floor (no steps), it has staggeringly beautiful, panoramic views from all of its large windows. It has a beautiful balcony, directly in front of the kitchen window, that seats 4 persons snugly. 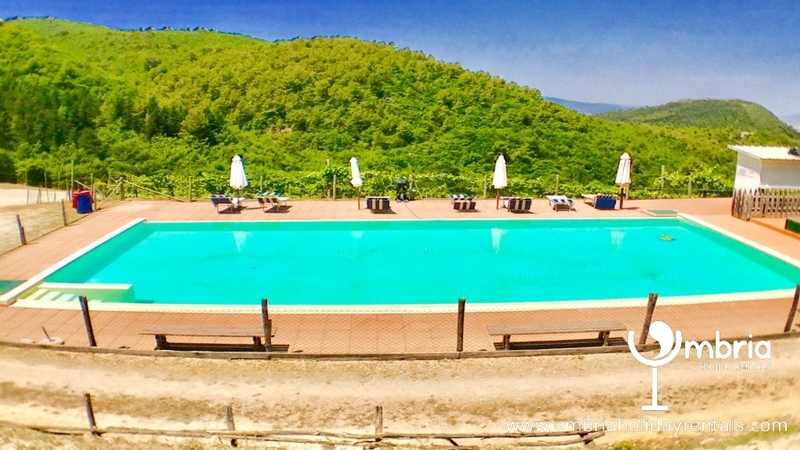 From the balcony and all the large windows are stunning panoramic views that overlook the pool, the vineyards, the olive groves and give way to a vast landscape with valleys, mountains and woods that undulate, cascade and writhe towards Assisi, embracing every famous hill-top city you can think of……. Spoleto, Spello, Trevi, Orvieto, Perugia and Montefalco, in its sweep. A very large apartment, it has 1 huge, sitting/dining room – seats 8, with a fully fitted kitchen, 2 double bedrooms + 2 bathrooms. Simply, but, elegantly, furnished, this apartment is perfect for families and lovers alike. Booked together with APT D + E, the whole of the ground floor becomes occupied by 1 large party that can sleep up to 12 persons comfortably. However, please note that APT E is in an annex of the manor house, at the end, and, that APTs B + D are next door to each other. But, if its views from a terrace that will accommodate a larger party that you are after, you are best to include APT E because its terrace can seat up to 10 persons and it has stunning views. The balcony of APT B only seats 4 and the large terrace of APT D has only wood views. There are no steps leading to the apartment nor inside the apartment. However, there are some steps from the back of the house, leading to the large communal terraced area, overlooking the pool. But, you can avoid these steps and walk round the house directly to the communal areas and/or the pool. APT C (100 sq mts) has 1 sitting/dining room (with fully fitted kitchen), 3 triple bedrooms (each with double bed and single bed) + 2 shower rooms. 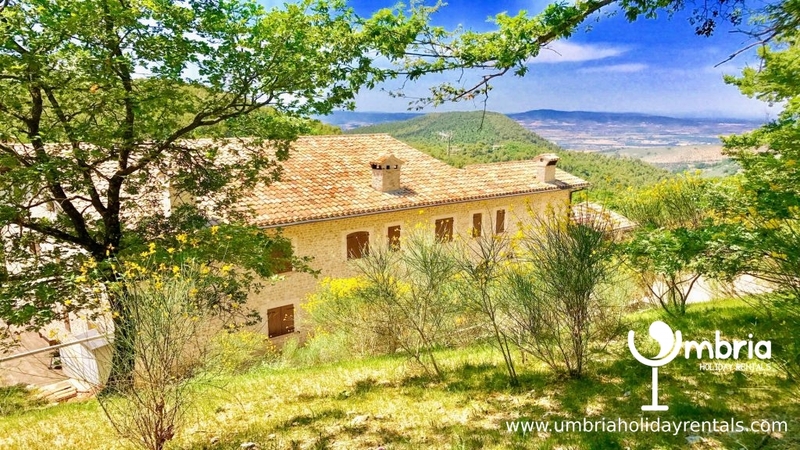 Stunning panoramic views of mountains and valleys from all windows. Private patio at bottom of short flight of steps. 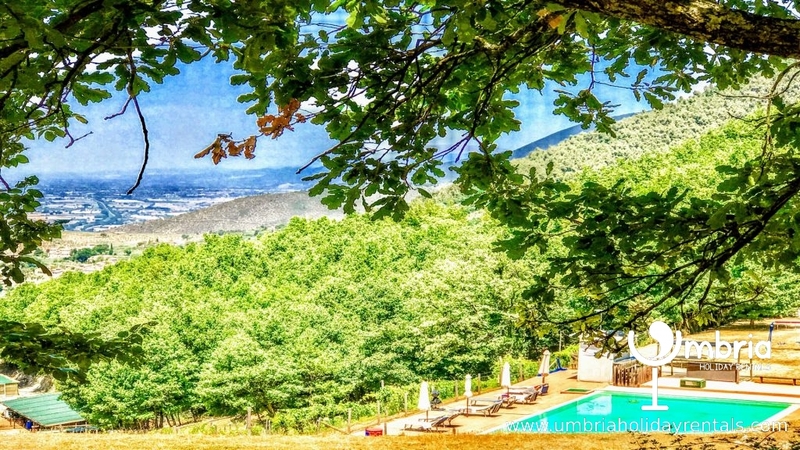 On the 1st floor, it has staggeringly beautiful, panoramic views from its large windows that overlook the pool, the vineyards, the olive groves and give way to a vast landscape with valleys, mountains and woods that undulate, cascade and writhe towards Assisi, embracing every famous hill-top city you can think of……. Spoleto, Spello, Trevi, Orvieto, Perugia and Montefalco, in its sweep. A very large apartment, it has 1 sitting/dining room – seats 6, with a fully fitted kitchen, 3 double bedrooms + 2 bathrooms. Booked together with APT A, the whole of the top floor is, in effect, privatised, and the 2 apartments can be seamlessly joined to become 1 extremely large apartment that can sleep up to 12 persons comfortably. APT C has a private patio area at the back of the house, at the bottom of a short flight of steps, with a view of the woods. There are some steps leading to the apartment but none inside the apartment. However, there are steps from the back of the house, leading to the large communal terraced area, overlooking the pool. But, you can avoid these steps and walk round the house directly to the communal areas and/or the pool. APT D (100 sq mts) has 1 large sitting/dining room (with fully fitted kitchen), 2 triple bedrooms (each with double bed and single bed) + 2 shower rooms. Very pretty views of hills and woods. French windows open onto a private patio/pretty hill and wood views. 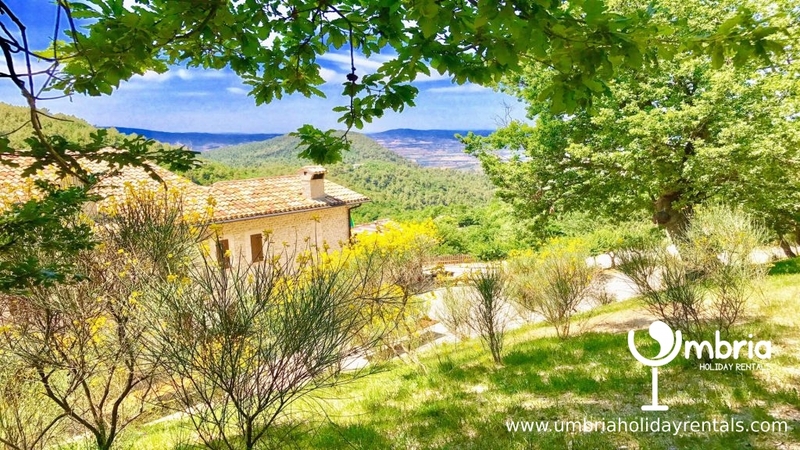 On the ground floor (no steps), it is the most private of all the apartments, occupying the end of a cul-de-sac, with a very large terrace area/very pretty views of the woods from all its large windows and terrace. A spacious apartment, it has 1 large, sitting/dining room – seats 8, with a fully fitted kitchen, 2 double bedrooms + 2 bathrooms. There are French windows that lead directly from the sitting/dining room onto the large terrace. Booked together with APT B + E, the whole of the ground floor becomes occupied by 1 large party that can sleep up to 12 persons comfortably. APT E (60 sq mts) has 1 sitting/dining room (with fully fitted kitchen), 1 triple bedroom (with double bed and single bed) + 1 shower room. 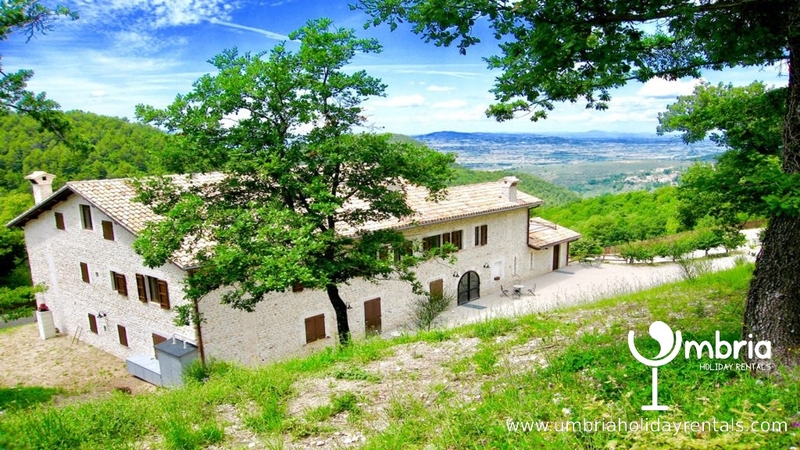 Opens onto a private patio with sensational views towards Assisi. On the ground floor (no steps). A spacious apartment, it has 1 sitting/dining room – seats 2 to 3, with a fully fitted kitchen, 1 double bedroom + 1 bathroom. Booked together with APT B + D, the whole of the ground floor becomes occupied by 1 large party that can sleep up to 12 persons comfortably. Worried about steps ? No need ! NO STEPS, if you book APT B, D or E, everything is on 1 level. A short flight of steps to APT A or C – once inside, everything is on one level. However, there are steps from the back of the house, leading to the large communal terraced area, overlooking the pool. But, you can avoid these steps and walk round the house directly to the communal areas and/or the pool. For the elderly or infirm, you can drive a car directly to the pool via a separate lane. 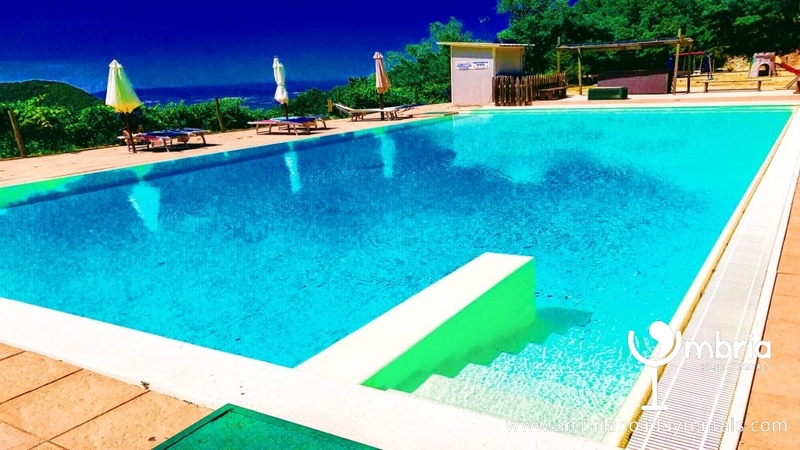 The pool is 110 sq mts, a large pool with plenty of room for everyone all around it. And, there is a WC. It is a short walk from the villa, about 2 minutes, downhill. However, if you are feeling very lazy and wish to take a picnic to the side of the pool, you can take the car down a special pool lane, right to the side of the pool. All our guests are invited to use the pool. However, most of our “non-pool” guests either do not have cars and/or are not interested in the pool. Therefore, to date, the pool has remained quiet much of the time and, at times, it is empty. There is a large sandy area next to pool has a few swings, climbing frames + a slide for young children. There is a private car-park adjacent to Villa Marianna….However, our guests are allowed to park closer to the villa, if there is room. The public, who will use the restaurant, MUST park in the car-park. ARE YOU A LARGE GROUP OF BETWEEN 10 AND 22 ? One of the most impressive features of APTs A, B, C + D is the sheer size of these apartments ! APT A + APT C occupy the entire upper floor and, when booked together, create a totally private area because the spacious hall that divides these 2 apartments becomes part of a super-large apartment in a naturally ‘privatised’ area. Together, they can easily sleep 12 persons. APT B, APT D + APT E occupy almost the entire ground floor. Together, they can easily sleep 12 persons. Discounted rates for the simultaneous booking of more than 1 apartment. Please enquire. 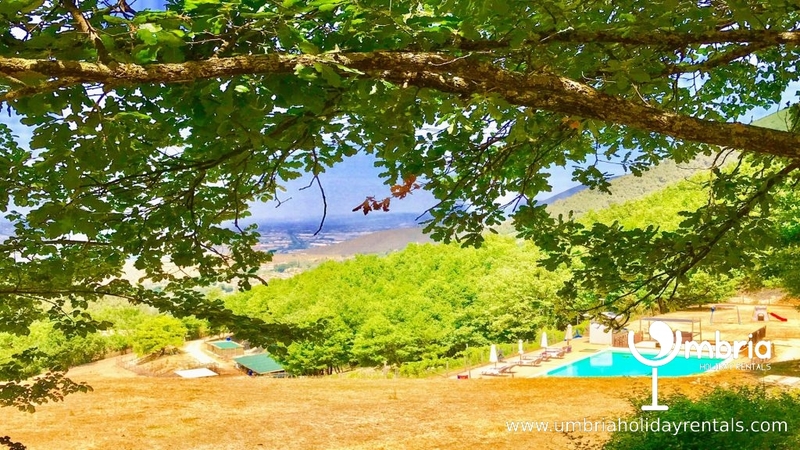 Brief description of Spoleto, 7 miles away…. Spoleto is akin to a giant, fairy-tale castle. Sprinkled with bars, restaurants and shops, peppered with piazzas, Spoleto sits magestically amidst a maze of tunnelled, cobbled lanes and alley-ways, all leading skywards to the famous Rocca, the aquaduct and, some of the best views in the world. 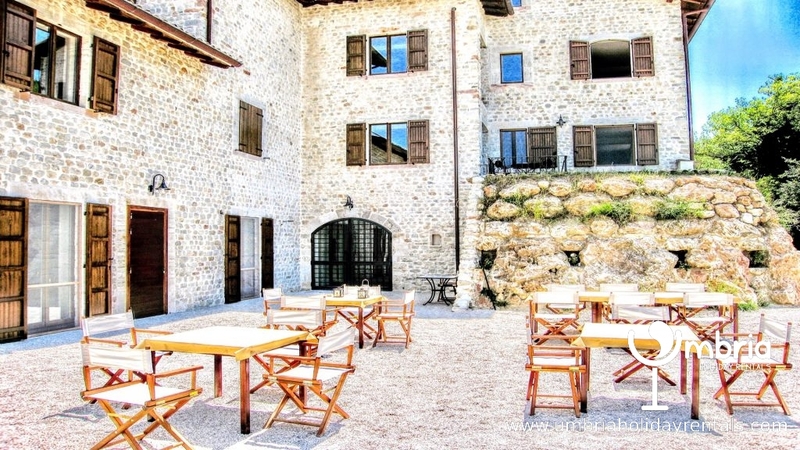 A surreal setting, a stage-set in the making, fringed by mountains, olive groves, vineyards, mediaeval monasteries, towns, cities and tiny hill-top villages – all beckoning a visit, Spoleto is truly a temptress. Succumb to her beauty and you must use all your will-power to leave. Quite simply, Spoleto is the most captivating city in Italy, never mind Umbria, Venice and Florence, being on a par. Venice has the water. Florence has the Uffici. Spoleto has the mountains. All three have a history to be reckoned with. All three bedazzle us with their rich cultures, their European, aristocratic connections and their sheer beauty. But, Spoleto has the upper hand for the world traveller. It resists tourism with its associated inflated rates and tacky goods on sale ! You are invited to visit Spoleto, but, not as a tourist. You will be welcomed like a long lost member of the family ! Treated like a king. And, you will pay the same rates as all the locals, especially when you pay attention to all our recommended restaurants, bars and gelaterias. Our small partnership group, ourselves included, own all the properties that we advertise, about 60 in all, from villas with pools to smart town houses to central city apartments. 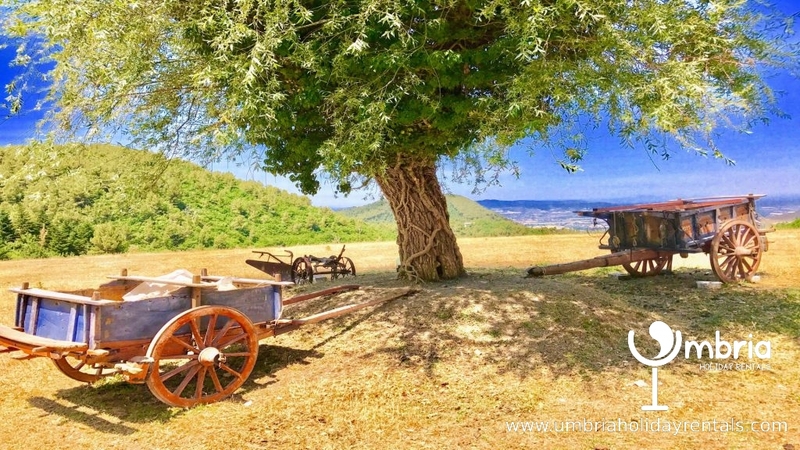 Subsequently, we can organise olive oil tasting, wine tasting, chef at home, eating in chef’s house, truffle hunting, picnics with a donkey, cheese making, caving, canyoning, rafting, canoeing, horse riding…..anything you like…….all at better rates than you get going through the conventional channels. This is because all the aforementioned activities, except for horse-riding, are offered by our partners to ensure you have the holiday of a lifetime! For instance, the olive oil of one of our partners (Ciarletti) was blessed by the Pope 2 years ago, after it had won the top prize in Italy. 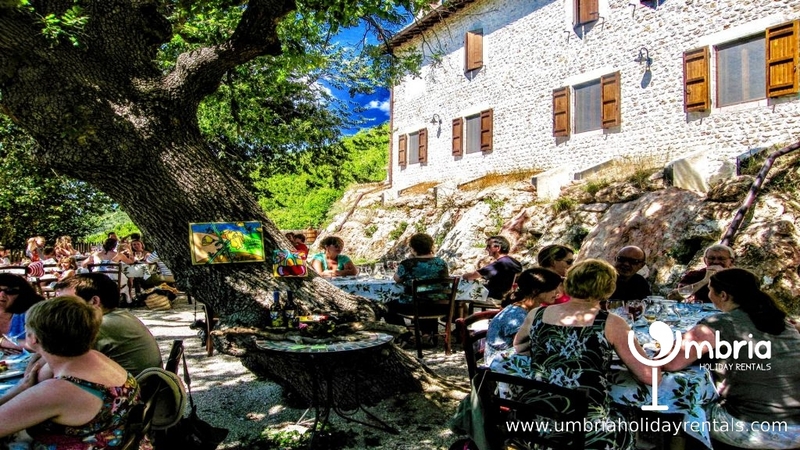 He, amongst other of our partners, offers olive oil tasting, accompanied by a lunch, at his farmhouse. 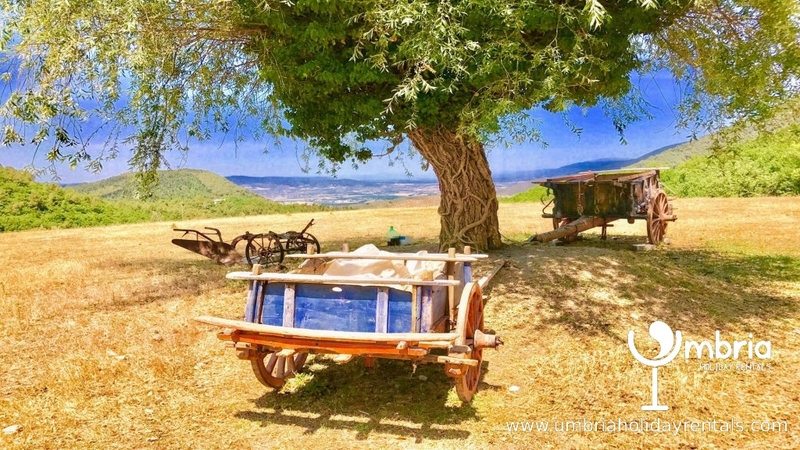 All our activities are totally authentic, put on by Italians, whose familes go back for centuries and who have been in the truffle, olive oil and wine trade for all of that time. Also, included in the rate is a Welcome Pack : pasta, pasta sauce, olive oil, wine, tea, coffee, sugar, milk + toiletries to start you off. Thank you for a Nice stay in Villa Marianna:APT A ! We left the key in the door and one on the kitchen table. Hope everything looked well. 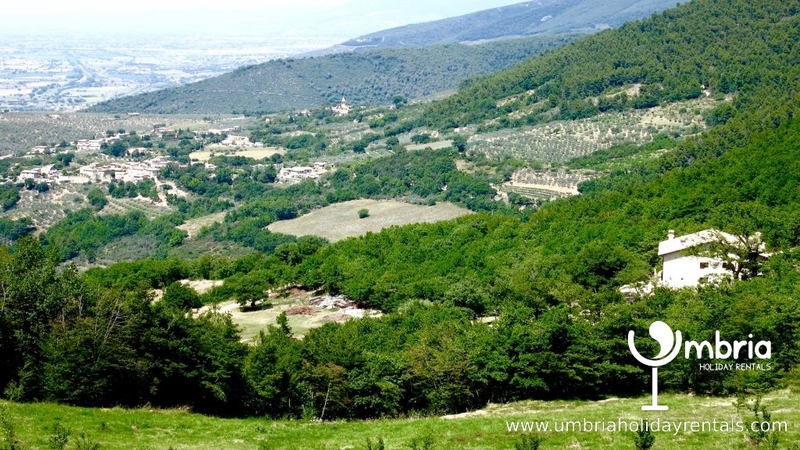 We will shortly board our flight back to Norway and most certainly miss the nice and calm atmossphere In Umbria. Hope to be back another time! We’ve arrived home now back to normality but just wanted to drop you a note to say what a wonderful holiday we had. We loved our 2 weeks and found Laurie & Jo most helpful. Your guide to the area was such a gift and we took full advantage and visited most of the places you recommended. The apartment itself was perfect for us and the provision of towels, our welcome pack and wifi really made things so easy for us. The pool is beautiful – Lots of wonderful memories and we would certainly hope to return again sometime. Beautiful setting, and the given description is correct, though there are some loose ends (like the cutlery, that does not feed more than six, but this didn’t bother our 4 persoen family). What we didn’t realize is that the stay of a larger group inevitably effects the atmosphere in and around the house. The property was relatively clean (improvement would help). The old house can be noisy – sound travels through the hall. A herd of sheep has its home nearby, which means a truly rural setting, incluing romantic sounds, but also bugs and smells that come with the herd. Overall we had a very pleasant stay. Hope our comments help you improve where possible! Most guests tell us that they have never stayed anywhere where the kitchens are so well stocked with everything, including crockery, cutlery, cooking equipment etc. So, in this case, it is unfortunate. However, we would have instantly provided more, had we been alerted to this oversight on our part. It is to be hoped that our reviewer appreciated the dishwasher in having to wash the cutlery more often than usual. Villa Marianna is enormous. And, 4 of the 5 apartments are enormous. Nevertheless, it is usually the case that only 4 persons occupy each of these apartments, 6 maximum, but this is unusual. The 5th apartment sleeps only 2 persons. So, it is extremely unusual for the villa to sound “noisy”. However, had we been alerted, we could have asked the noisy group to be a little more respectful of their neighbours. The difficulty here is that “noise” tends to be a subjective thing. Some of us are more sensitive than others to this phenomenon. Certainly, this is the 1st time that such an observation has been made. Further, usually, the only comments we ever get re our cleaning is that it is immaculate. Occasionally, we get someone saying that the floor is not perfectly clean. In this case, this is because if they have arrived early, the floor will have just been cleaned. The guests arrive and they walk over a freshly cleaned floor with dirty shoes, dragging luggage. Then, when they take their shoes off, their bare feet pick up any dirt brought in from their shoes and the luggage. The sheep are not supposed to be nearby. Occasionally, guests do not follow the countryside code of shutting gates and the sheep roam where they are usually not allowed. Had our reviewer alerted us to the closeness of the sheep, we would have redirected them immediately. All in all, all the niggles that our reviewer has referred to could so easily have been resolved immediately, had he simply texted Laurie. We welcome the opportunity to put things right immediately, rather than have a reviewer point out such things, after the fact !! However, we are very pleased that despite the niggles, he and his party had a “very pleasant stay”. 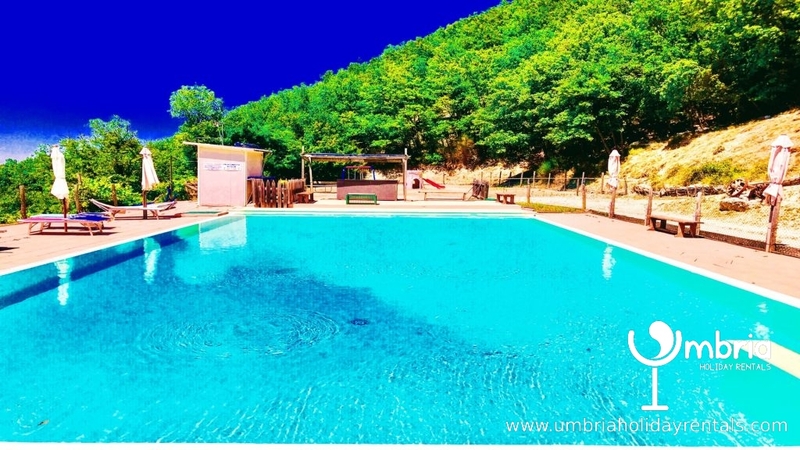 Magnificient views, huge swimming pool, well equipped kitchen and culture close by. 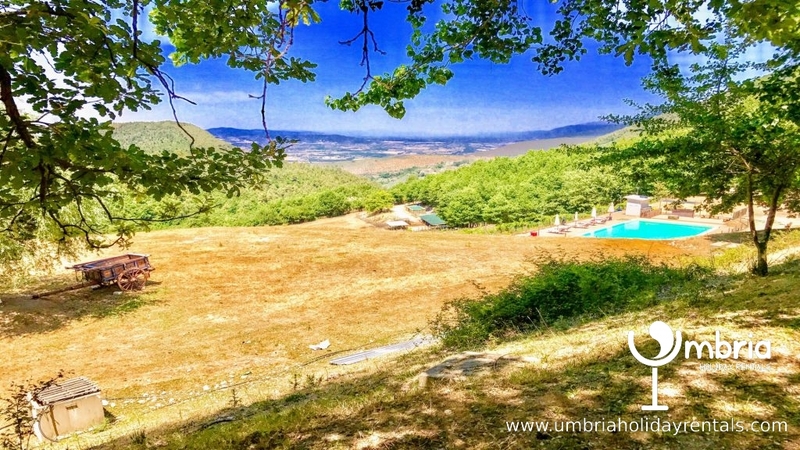 Our family is a big fan of Italy and while the past 10 years we have stayed in many beautiful places in Tuscany, Umbria and Le Marche, this is the very first time that we all agree that we want to come back with and bring our friends. First of all the location is absoluty magnificient with breath taking views during sunset and a sky filled with stars during the night. The kids (11 and 14) enjoyed the large swimming pool and adored the sheep which spent the night in a field close by. The kitchen is well equipped with an excellent oven, ideal to experiment with Italian cooking. And last but not least the beautiful city of Spoleto is close by as well as several other hill top towns, each with their own characteristics . 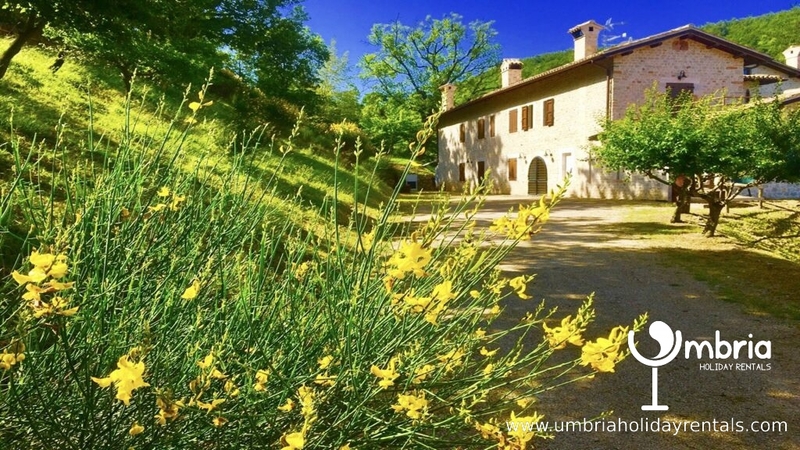 Why would ANYONE go to NYC in July when they can be in Umbria! Here’s the review I posted on TA and I think I posted on HomeAway (but not sure if I succeeded!!). 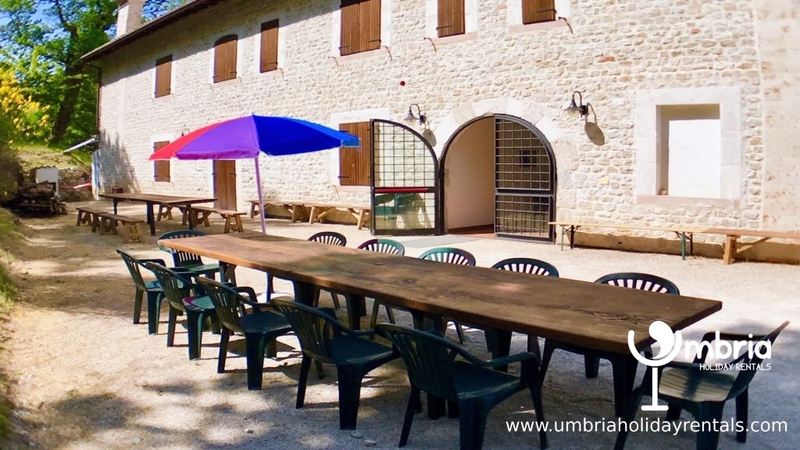 I was hunting for the right place to host 35 people from around the world for 60th birthday gathering for my wife and I. We’ve been to Italy dozens of times but had only been to Umbria once or twice before. I found Villa Marianna and Norma on internet and got in contact about 8 months before the planned event. Norma and Laurie were extremely easy to deal with. Rates are far below the sometimes extremely high rates offered by other properties. To be honest, the Villas are not polished, Disneyland-type properties, but instead much more genuine and real. Also, Ioana, who does the housekeeping for the managers, was lovely and took care of all practical details and little questions that came up. The absolute highlight for all of us was Chef Leonardo, the gentle giant who arranged superb dinners on 6 of our 7 evenings at very good value, including the wine. He took lots of time to speak with anyone who was interested in discussing the cuisine and the preparations that evening. He also arranged a truffle hunt and wine tasting. We were all enchanted with his cooking and passion for food, as well as his totally-relaxed and flexible manner in dealing with this group that was sometimes moving in many different directions at the same time. 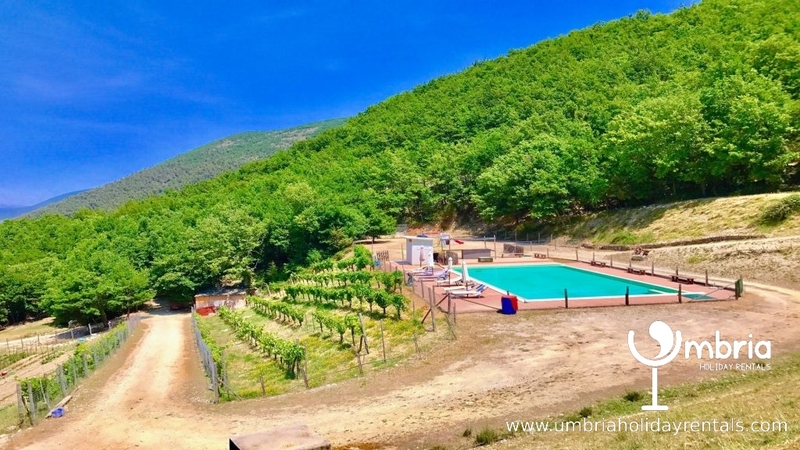 Overall, we can warmly recommend the Villa Marianna and Vista del Mondo for anyone seeking the real Italian way of doing things. DISCOUNTS OFFERED FOR 2 WEEKS PLUS ! RATE INC ALL UTILITIES, LINENS, TOWELS/POOL TOWELS, TAXES, FINAL CLEAN PLUS WELCOME PACK (WINE, OLIVE OIL, PASTA, PASTA SAUCE, TEA, COFFEE, SUGAR, MILK + TOILETRIES TO START YOU OFF).